Recording yourself does not need to be difficult. This guide will get you started. Follow this easy guide to record yourself using your video. A stand for your device, this can be another person holding your camera, a tripod, or books to prop up your laptop. We want to emulate as much as possible live public speaking experience, so position your device to record from the audience eye level when they are sitting down. Ideally, it should be about eye level of someone sitting observing you. Aim for a position like below. 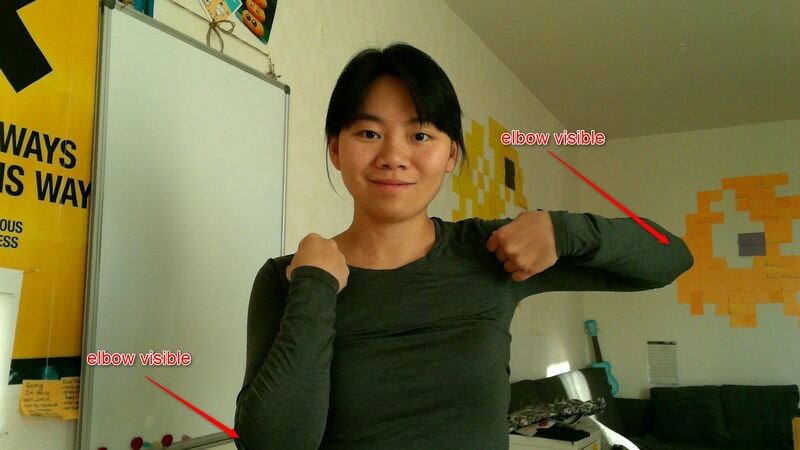 Fold your arms and make sure that the elbows are visible so that the audience will be able to see the facial expression and hand gestures clearly when you are talking. Try recording your first presentation!